"Decidedly, this pianist is a poet." "She executes these pieces with such depth and panache that it’s impossible not to listen with bated breath. Einav Yarden is a captivating pianist with a clear vision and a wonderful, convincing sound." It should be emphasized that, on the threshold of this admirable and splendidly recorded piece, Fantasiestücke op. 111 sound as strange, enigmatic, fleeting and sombre as they should be. "Yarden always shows her intelligence in repertoire choice, besides the indisputable qualities as a pianist. This record turns out to be especially close to her for stylistical kinship and deep understanding of the compositions." "Poetry, passion, intimacy - these are terms that Einav Yarden likes to use in connection with Schumann, bundled in the generic term: the 'Fantastic"
"In Einav Yarden's way of playing Schumann, the vocal is always in the foreground"
"In all the capricious passages, as a result of Schumann's great mood swings and depressions, she manages to guard the long lines in the music with her controlled play, while in the serene and the more light-hearted moments she takes the time everywhere." "The interpretation of the young Israeli pianist Einav Yarden lies in the right center between words, pathos and ethos… she fancies fancifully over the keys…”." "Yarden proves once again being amongst the best pianists around, delivering here an attractive, well balanced recital. [...] A deeply moving account." "Her new Schumann CD is a jewel. Yarden not only paints Schumann's free spirit, she can also handle the delusions of his later years." "4**** Her new Schumann cd is a gem. Yarden not only paints Schumann’s free spirit very accurately, but also handles the delusions from his later life extremely well." 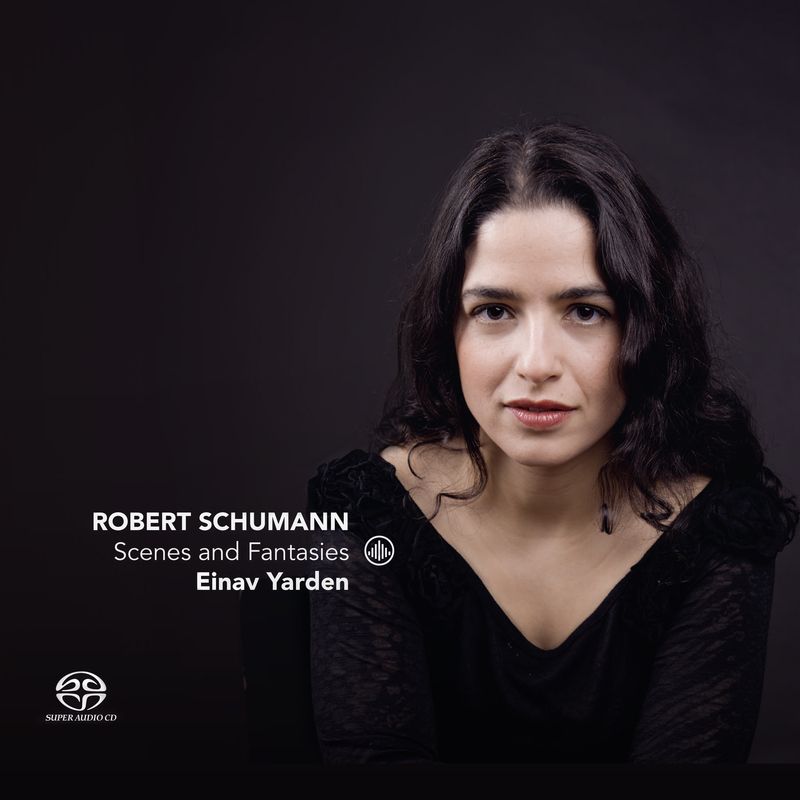 "The new Schumann CD of the Israeli pianist Einav Yarden for Challenge Classics. Heavenly! Her technique and acclaimed piano playing, at times vigorous and articulated, at times soft and intimately poetic, are here (again) expressed wonderfully."